Why Are Children Still Dying of Vaccine-Preventable Diphtheria? Poor implementation of routine immunisation programmes has led to continued outbreaks of the disease. Eight weeks ago, Payal*, a ten-year-old girl, came to the emergency room at Jan Swasthya Sahyog (JSS) or People’s Health Support Group in Bilaspur in Chhattisgarh with fever and neck pain. We diagnosed her with diphtheria and immediately provided her with the appropriate treatment, including antibiotics and anti-diphtheritic antiserum (ADS). However, despite our best efforts, her condition worsened due to heart and kidney failure, and she died. Unfortunately, Payal was not the only child who suffered from diphtheria during a recent outbreak. In the last two months, 23 patients have been diagnosed with diphtheria in Bilaspur. Of these, we have treated nine patients at JSS, seven of whom were from a single village – Ghonghadih – and one each from the nearby villages of Beltookri and Ajaypur. Only 14 of the 23 children survived. There have been reports on a diphtheria outbreak in 2017 from multiple states, including Karnataka, Kerala, Uttar Pradesh, Telangana and Bihar. We interviewed multiple vendors who sell ADS, the medication essential for diphtheria treatment, and learnt that there is demand for ADS across India. In fact, the demand has been constant over the last few years, which underscores the fact that this an ongoing problem. According to the WHO, there were 7,097 reported cases of diphtheria all over the world in 2016, out of which 3,380 cases were in India. Our neighbours Nepal, Bangladesh and Pakistan reported 140, two and 12 cases respectively. Diphtheria is a communicable disease with serious health consequences, including heart failure, nerve damage and death in at least 10% of patients, as in Payal’s case. A diphtheria vaccine has been available for the last 80 years with remarkable efficacy at an affordable cost. It is tragic that our children continue to die from this vaccine-preventable disease even today. Three different government programmes in India are responsible for making sure children like Payal get vaccines. First is the Universal Immunisation Programme (UIP) of the government of India, started in 1985. By 1990, all districts were covered under the scheme. But in 2014, despite being operational for 30 years, the UIP had been able to vaccinate only 65% of children in their first year of life. So in order to invigorate and strengthen the programme and improve immunisation coverage, the government started a novel initiative in December 2014 called Mission Indradhanush. As per the official website, the goal of Mission Indradhanush is to ensure full immunisation with all available vaccines for children up to two years of age and pregnant women. The third programme is the Rashtriya Bal Swasthya Karyakram (RSBK) from the Ministry of Health and Family Welfare. It aims to put in place child health screening and early intervention services, a systematic approach to early identification which then goes on to provide care, support and treatment. As per the UIP, the diphtheria vaccination is done at six weeks, ten weeks and 14 weeks of age. Since this series is inadequate to provide immunity beyond early childhood, booster doses are given at 16-24 months of age and 5-6 years of age. The UIP does not follow the recommended WHO guidelines, nor the US-based Advisory Committee on Immunization Practices (ACIP) guidelines. The WHO recommends a primary series of three vaccines starting at six weeks of age and ending before six months of age. The WHO also recommends three booster doses at 12-23 months, 4-7 years and 9-15 years of age. The UIP does not include the WHO-recommended third booster in the current vaccination schedule. It also does not include the diphtheria booster doses at ten-year intervals which have been recommended by the ACIP. The state of diphtheria immunisation in India, especially the booster doses, is poor. According to national-level surveys, the coverage of three primary diphtheria vaccines improved from 55.1% (1998-1999) to a still unacceptable 78.4% (2015-2016). Neither these national-level studies nor the WHO data estimate the coverage of the diphtheria second booster in India. An independent study done in Hyderabad further confirmed the poor coverage, showing rates of coverage of first and second booster immunisation was 60% and 36% respectively. In order to fill this void in immunisation coverage left by the UIP, Mission Indradhanush was started. Data show that since the initiation of Mission Indradhanush, vaccination rates among children below two years of age have improved by 6-7% every year. However, because of its design, it still missed the critical group of older children requiring boosters, like Payal. We interviewed a few health workers in Bilaspur to understand the situation on the field on the diphtheria vaccination. The health workers, who are directly involved in routine immunisations, were confused about the immunisation policies for children above two years of age. They said that around six years ago, the RBSK yojana had started in Chhattisgarh. The routine health workers assumed that this RBSK team, which is responsible for screening various diseases, will be vaccinating school-going children, even though immunisation is not within the purview of the RBSK team. As a result, none of the health workers had administered the recommended second booster for diphtheria in the last six years. The diphtheria outbreak in Bilaspur poses two intellectual questions for a public health physician. First, out of the nine patients seen at our hospital, only one child was less than five years of age, whereas historically diphtheria affects children less than five years old. The second question is, how did this outbreak spread? There were only five patients in the first eight weeks, with periods of no cases for up to two weeks within that time. Poor coverage of the immunisation booster doses is important in understanding the demography of children admitted with diphtheria at JSS. Since booster doses of anti-diphtheria vaccine were not provided, older children were unprotected from diphtheria and thus the percentage of patients who had diphtheria who were more than five years of age has increased significantly. The most likely explanation for the spread of the outbreak, without cases being reported, is asymptomatic carrier adults in the community. According to a WHO report, in 2016, of the 1,530 cases seen in Bihar, Uttar Pradesh, Kerala and Haryana only 20% patients were less than five years of age. In Kerala, 533 cases were reported in 2016, of which 39 patients were older than 45 years, highlighting that diphtheria infects patients of all ages. Even in Bilaspur, we have seen several adults in this outbreak with tell-tale sequelae of diphtheria, such as the paralysis of palatal muscles leading to swallowing difficulties. These adult illnesses are a consequence of them being unprotected against diphtheria because the effect of childhood vaccines has waned. Every time a child dies of a vaccine-preventable disease such as diphtheria, we as a society and a nation fail them. Based on our experiences in Bilaspur, interactions with health workers and on the basis of work as public health physicians, we would like to propose the following solutions to eliminate diphtheria in India. First, while the incidence of diphtheria has reduced in children less than five years of age, it has increased in children more than five years of age. The government and concerned officials should make it a priority to improve the administration of booster doses. Mission Indradhanush has been successful in improving the vaccination rates of children less than two years of age by covering additional 6-7% children every year. We strongly recommend that Mission Indradhanush should broaden its coverage to compulsorily include children up to six years of age. Second, the UIP in India has limited diphtheria vaccination only up to five years of age. There is ample data to suggest that diphtheria affects all age groups, as seen during outbreaks in Kerala. 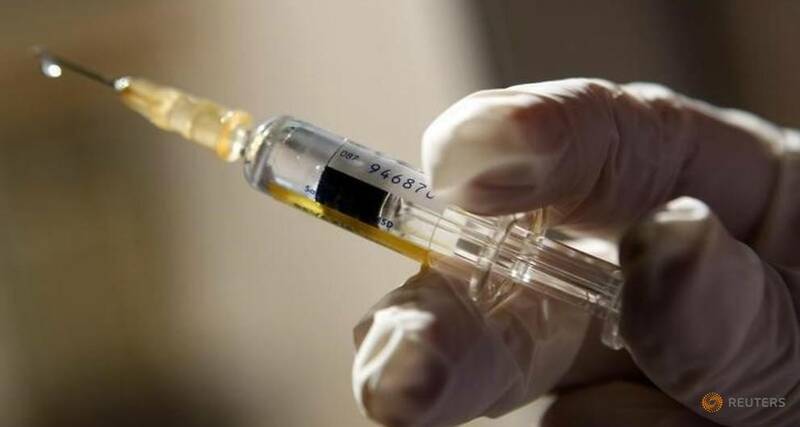 The ACIP recommends a diphtheria vaccine booster every ten years, as immunity wanes over time, but the UIP in India has not adopted this guideline despite large-scale outbreaks. The UIP should be revised to include a diphtheria booster every ten years for adults. This would help decrease the pool of asymptomatic carrier adults. If we don’t implement our routine immunisation programme better and don’t make efforts to protect our adolescents and adults, we should be prepared to live with diphtheria and its unfortunate outcomes. Anup Agarwal and Yogesh Jain work with the Jan Swasthya Sahyog.